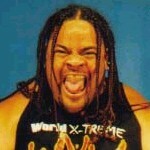 Despite the early gimmick of "The Tonga Kid", Sam Fatu is actually Samoan, and a member of the Anoai wrestling family. His mother Vera is the sister of Afa Anoai and Sika Anoai. This page was last edited on 5 April 2019, at 20:54.